The Boneca de Ataúro (Ataúro’s Doll, in Portuguese language) is the most well-known handicraft project in the young nation of Timor-Leste. Born 10 years ago, it is one of those projects truly born out of love, passion and hard work while providing income to over 60 women and their families in Ataúro island, 25km off the coast of the capital city of Dili. ‘Boneca de Ataúro: Searching for the Lost Love’ became the first stop-motion film coming out the young nation of Timor-Leste. In this non-stop laughter and action-packed film, the main character—a handmade rag doll called Ataurina—while looking for her abducted partner, takes us into an adventurous journey through some of the most beautiful locations in Ataúro island (a new eco-tourism paradise destination in South East Asia). During the trip, Ataurina travels by all means— encountering unexpected dangers and meeting curious characters across the island—in a mission to get her loved one back. The film was made totally pro-bono by award-winning filmmaker David Palazón, co-written and co-produced by Karen Reidy and Swiss artist and founder the cooperative Ester Piera Zuercher, and in collaboration with all the women in the cooperative. The film plays a central role as the teaser to support the cooperative’s fundraising campaign on Generosity.com. The objective of the campaign is to secure the necessary funds to support the much needed development project (emancipation, education and infrastructure) for the cooperative between 2016 and 2018. The film dialogues are in Tetun (the local language) so to reach further audiences, the film has been subtitled in English, Portuguese, French, Italian, Spanish and Tetum (choose your prefere subtitles on the Vimeo player CC button). The film launched at Fundação Oriente in Dili on July 13th 2016 during the Artaúro show in collaboration with Jen Shyu, singer/songwriter, multi-instrumentalist and recipient of the 2016 Doris Duke artist award. The film includes a soundtrack by leading Timorese musicians, like Jah Era, Maestro Simao Barreto or the talented Jen Shyu, who not only contributed with an excerpt from her ‘Song for Naldo’ for the opening titles, but also worked relentless singing and performing with these amusing women to help us produce the Artaúro show to launch the film. Check the press release by the Portuguese News Agency LUSA on RTP News. October 2017 — Screened at the Ubud Writers and Readers Festival in Bali (Indonesia). October 2017 — Finalist at the 3rd Minikino International Film Festival in Bali (Indonesia). September 2017 — Finalist at the Ouarzazate International FIlm Festival (Morocco). September 2017 — 18th Fiacorti International Film Festival in Istrana (Italy). August 2017 — 6th Asinabka Film and Media Arts Festival in Ottawa (Canada). August 2017 — Mzansi Women’s Film Festival in Johannesburg (South Africa). July 2017 — 11ª MOSCA – Mostra Audiovisual de Cambuquira (Brasil). July 2017 — 21st Seoul International Cartoon and Animation Festival International SICAF (Korea). June 2017 — El Fetivalico Shorts and Video Art Film Festival in Caravaca, Murcia (Spain). June 2017 — Azores Fringe Festival in the Azores Islands (Portugal). June 2017 — Kids First! Film Festival in New Mexico (USA). May 2017 — Touring the districts in Timor-Leste with mobile cinema Cinema Lorosa’e. May 2017 — backup_festival at the Bauhaus University in Weimar (Germany). April 2017 — 14th Cine Pobre (Mexico). April 2017 —Pipa Film Festival, Tibau Do Sul (Brasil). April 2017 — Painted Birds Film Festival in Madrid (Spain). April 2017 — 9th CMS International Children’s Film Festival in Lucknow (India). March 2017 — 4th edition International Festival of Short Films on Culture & Tourism, in Jaipur (India). March 2017 — 12th Athens Animfest (Greece). March 2017 — Māoriland International Indigenous Film Festival in Otaki (New Zealand). February 2017 — Included at the Clermont-Ferrand Film Festival’s video library in France. February 2017 — Colourtape International Film Festival in Brisbane (Australia). February 2017 — 3rd CINI International Children Film Festival in Lima (Peru). January 2017 — 8th Independent International Internet Short Film Festival (IISFF 8). December 2016 — 14th International Short & Independent Film Festival in Dhaka (Bangladesh). November 2016 — KINOdiseea International Children Film Festival in Bucharest (Rumania). November 2016 — 3rd International Children Film Festival of Odisha in Balanguir (India). November 2016 — 4th Salamindanaw Asian Film Festival held at the city of General Santos (Philippines). November 2016 — Design Katha in Colombo, part of the Sri Lanka Design Festival. August 2016 — Added to Growinguptroppo.com. A website providing independent advise on family-friendly holiday pads. 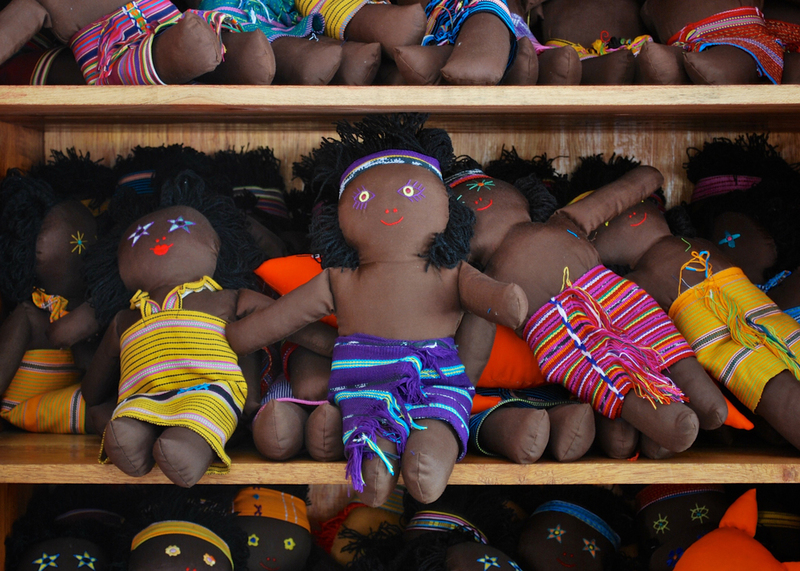 David first encountered this doll-making women cooperative in June 2009, while he was mapping cultural produce across the country. With the years and through a series of collaborations, he became a good friend with the Swiss artist and founder Ester Piera Zuercher, Maturina (art director), Virginia (current president) and Leocadia (guest-house and restaurant manager). He gradually became a life-time supporter of the project providing pro-bono assistance in several areas: brokering new clients, photographing their collection, designing their catalogue, setting up their official website and Facebook page and introducing them to social media. Educational was crucial to the success of their emancipation, so several educational activities were set up, including an artist-in-residence program to help the women gain a strong art and design foundation, as well as further textile and product design expertise. In December 2016, David designed and help to set up their new shop in Dili. Please, feel free to browse their full catalogue below.